As the patriotic Independence Day passed, I began wondering about our National Anthem. 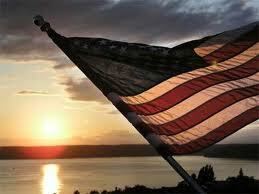 Do we show our patriotism through singing the “Star Spangled Banner” or has it become merely a show of vocal talent? As a voice teacher, students ask me to work on the song frequently so that they can sing at their high school football or basketball game, sing at a ball park, or local softball game. The difficult 1 ½ octave range song is a hurdle for some, the words are another hurdle for most. In teaching the song, of which we mostly know the melody, I stress authenticity of the melody with not too much embellishment. In other words, sing the song how it was written without too many added notes. I also focus on what the words MEAN. This not only helps the student remember the words, but the meaning and intent of the piece. It is about our nation’s independence, not a flash of how many notes you can sing. The “Star Spangled Banner” was written by Sir Frances Scott Key during the War of 1812. He sailed out on a ship to rescue a civilian prisoner of war who was being held by the British. He witnesses the attack on Fort McHenry in Baltimore. He is pleased to see the American Flag flying high the next morning and began to write “The Defence of Fort McHenry”, now known as the “Star Spangled Banner”. In 1931, it was declared the National Anthem. "Who's broad stripes and bright stars, through the perilous fight"
Question and answer through the whole song. Why is this analysis necessary? It helps the student to understand and remember the words to our nation’s anthem. Also, when they comprehend what they are singing, singers add so much more emotion and meaning to a performance. This is something we should keep in mind for ALL of our songs, especially one that is the example of the pride of our nation! “What key should I sing it in?” is often the resounding question. Sing it in a key which the high note is still comfortable even if it means sacrificing a little clarity on the low notes. A female belter should sing in F (high note is a C) or F#. A-flat is generally a good key for the average voice. The starting note of the piece is the fifth of the key, so play around with what works for the student, remembering to make sure they comfortably reach that high note. Above all, make sure that you are singing the National Anthem with our nation’s pride in your mind. It will not only to enhance your performance, but drive home the meaning of the piece- we are PROUD to be an American watching the flag fly freely. This is a great article on our great national anthem. I sing it as often as I can because it fits in my register well and I love my country. I also want to instill patriotism in the hearts of the hearers. Recently I purchased a top of the line Uncle Sam uniform and am looking forward to singing the Star Spangled Banner in it. Thanks for this well done article. Are there any National Anthem singing contests we can sign up for? Thank you for your kind words. I am glad there are some true patriots out there. I do not know of any singing contests for the National Anthem, however we can all get a lot of practice with singing along with the National Anthem being sung with the awarding of the Gold medals at the Olympic Games.